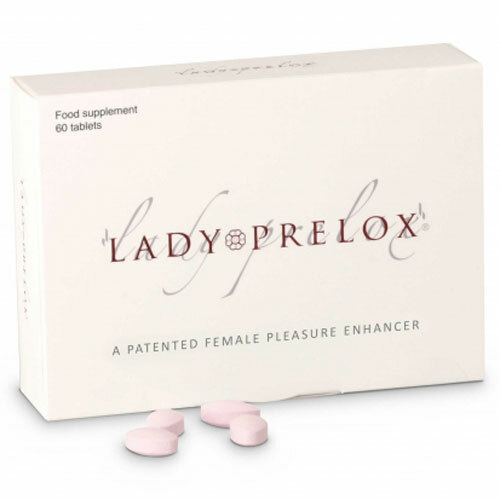 Pharma Nord LADY PRELOX® - Female Pleasure Enhancer contains Arginine which is a natural amino acid which may help maintain and support healthy blood flow to the sexual organs. Prelox® is a patented combination of naturally occurring ingredients, L-arginine aspartate and Pycnogenol®. L-Arginine is an essential amino acid found in many foods. Pycnogenol® is obtained only from an extract of the bark of the French Maritime pine tree. Prelox® is a proprietary blend of L-Arginine and Pycnogenol®. L-Arginine is used by the body to form a substance called nitric oxide which plays an important role in controlling blood vessel diameter, and hence blood circulatory flow. Pycnogenol® contains substances which activate enzymes within the body necessary for converting L-Arginine into nitric oxide. In addition, Pycnogenol® contains powerful antioxidants, which may help to maintain healthy blood vessels by protecting against free radicals continuously produced by the body. Take a look at our Pharma Nord Omega 7 Sea Buckthorn Oil and Pharma Nord MALE PRELOX to find out more about the benefits Pharma Nord products have to offer. Bulking Agent: Microcrystalline cellulose, L-Arginine, L-Citrulline, Rosvita, Anti-caking Agent: Tricalcium phosphate, Pycnogenol, Anti-caking Agent: Croscarmellose sodium, Magnesium Stearate, Silicon Dioxide, Glazing Agent: hypromellose celllulose, Polydextrose, Colour: Titanium Dioxide, Glazing Agent: Talc, Maltodextrin, Medium Chain Triglycerides, Colour: Beetroot Powder. Take two tablets per day, preferably with a meal of as directed by a physician. Do not exceed recommended amount. Pregnant and lactating women and those on medication should seek professional advice prior to taking supplements. Keep out of reach of children. Store in a cool, dry place. This natural product may vary in colour. 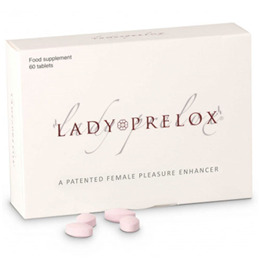 Below are reviews of LADY PRELOX - Female Pleasure Enhancer - 60 Tablets by bodykind customers. If you have tried this product we'd love to hear what you think so please leave a review. Pharma Nord LADY PRELOX - Female Pleasure Enhancer contains Arginine; a natural amino acid which may help maintain and support healthy blood flow to the sexual organs.